When I did my very first Where Are They Now article back in 2011, I caught up with 2007 World Series of Poker finalist Philip Hilm, who if you recall blew the chip lead to finish in ninth place while Jerry Yang went on to capture the title. Since then I have provided updates of other 2007 WSOP finalists such as third-place finisher Raymond Rahme, fifth-place finisher John Kalmar, and seventh-place finisher Lee Childs; however, one man I’ve never been able to track down was that year’s runner-up, Tuan Lam. 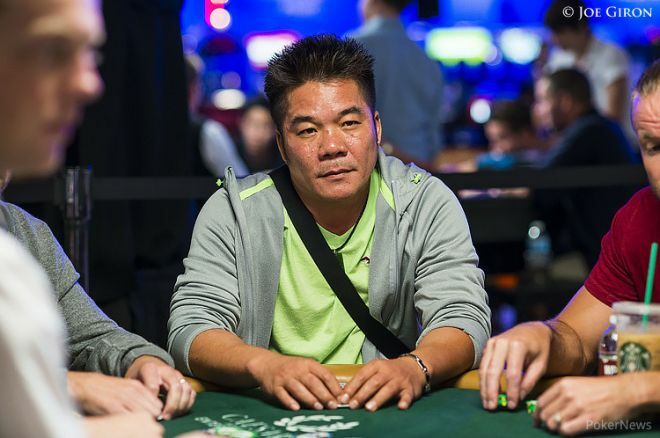 Since finishing second to Yang for $4,840,981 in 2007, Lam has disappeared from the poker world; in fact, that seven-figure score remains his last documented tournament cash. I’ve tried to contact Lam in the past, but all of my efforts failed. He doesn’t use Twitter, he’s not active on Facebook, and no one in the poker world seemed to know what became of the Canadian. It was a mystery. In fact, there is a TwoPlusTwo thread devoted to Lam titled Where is Tuan Lam? For the better part of seven years, Tuan had vanished, but suddenly there was a sighting during the 2014 WSOP Main Event. Sure enough, that same day, Day 1c of the tournament, my colleague Mo Nuwwarah spotted Lam in the field. I cautiously approached Lam and asked if he’d be willing to speak with me at the end of Level 2. He was a little surprised someone recognized him, but he hesitantly agreed. The conversation spun from there, and when asked where he’s been since breaking through in 2007, Lam divulged that his time and efforts have been focused elsewhere. Lam declined to elaborate on his health issues, but he revealed that his trips to Vietnam were charity based. After that, Lam was also more than willing to reminisce his run in 2007. As the 20-minute break came to a close, Lam’s attention turned back to the Main Event, the first and only tournament he played at the 2014 WSOP. Lam, who hasn’t spoken to anyone from the 2007 WSOP final table in the years that have passed, didn’t appear to have the passion he once had for the game. He seemed genuinely upset by the aforementioned situation with the dealer, and there was no doubt he wanted to be anywhere else than at the poker table. The turn was the giving Lam a flush, but the river was the giving Khavin a bigger flush to knock Lam out. Where Lam goes from here is anyone’s guess, but chances are he’ll slip back into poker obscurity, which is just where he wants to be. 20 Off The Felt With Nadya Magnus: Where Are They Now? 39 Where Are They Now: Bracelet Winner Matt Hawrilenko Temporarily Comes Out of "Retirement"